Five foreign cruise ships have already docked in Komodo Island this February to marvel at the island’s fascinating eponymous creatures first-hand. On Saturday, the Cruise Eropa II brought 2,000 foreign visitors to the island. Around 230 of them visited Loh Liang in Komodo district, which is part of the Komodo National Park. The next day, two more cruise ships docked at the site, also carrying thousands of passengers. Over 650 Japanese tourists from the MS Asuka reportedly strolled through Loh Liang, followed by hundreds of visitors from Cruise Eropa alongside a local guide and park ranger. The park's agency head Sudiyono told The Jakarta Post on Sunday that in the next several months, two more cruise chips were already scheduled to visit Loh Liang to see the komodo dragons and head to Pink Beach to dive and snorkel, two of the island’s popular activities for domestic and foreign tourists. 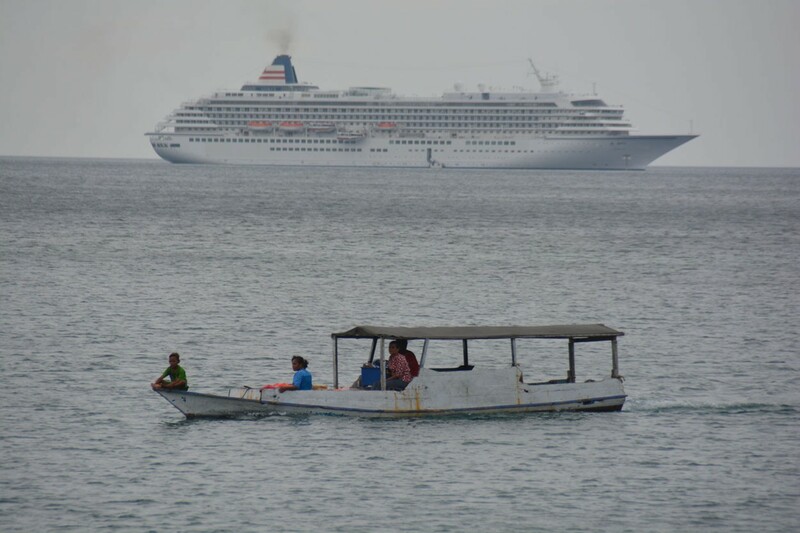 Labuan Bajo Port administration unit office head Usman Husin said that up to 113 foreign boats and cruise ships visited Komodo Island throughout 2016, bringing 53,562 foreign visitors to Loh Liang. In addition to this, the island also welcomed up to 310 tourism and phinisi boats owned by travel agents in West Manggarai and outside the region. "During low season, up to 20 tourism boats operate daily in the area. While up to 30 boats that cater to domestic and foreign tourists can be found around the island during high season between April and October," said Usman, adding that a marina was slated to be built in Labuan Bajo to meet the high demand as currently cruise ships could only dock at Komodo Island.